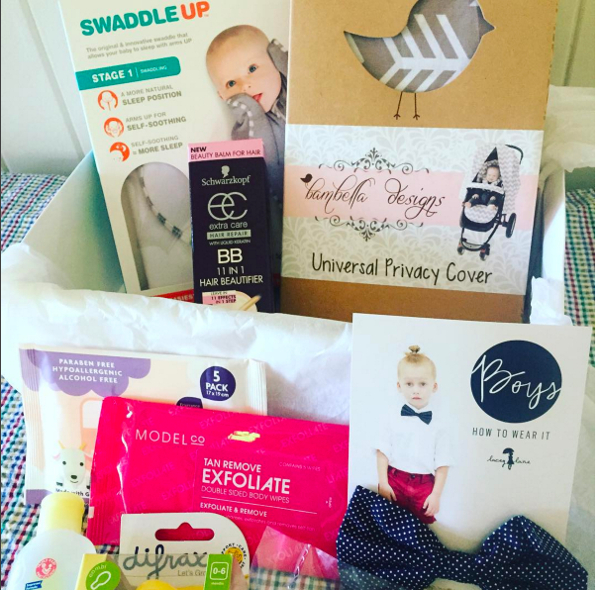 Take a peek inside our first fabulous Babyology Box! 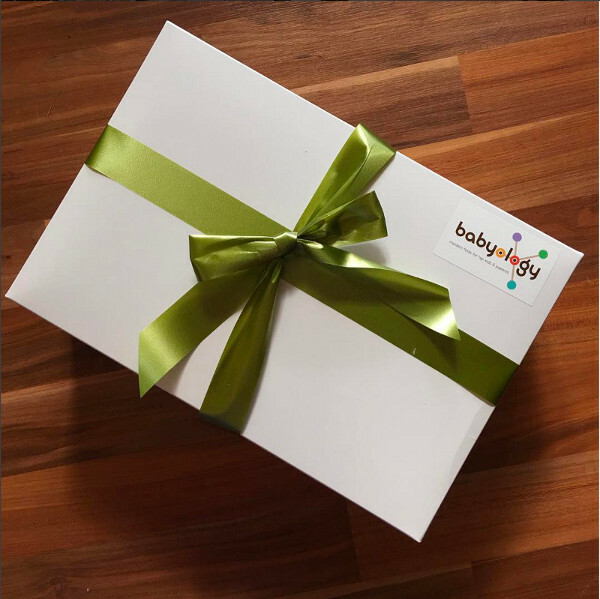 Christmas has arrived early, with our beautiful Babyology Box landing on doorsteps around Australia. We had a very exclusive run of our premier Babyology Box, and no doubt those who snapped one up stalked their postie relentlessly! Want to see what was inside? Come and take a look, and find out how you can get your hands on the next one. We were overwhelmed by subscribers for our very first Babyology Box, apologies to those who missed out on the limited run of our inaugural pamper package. Fear not, you can subscribe for our next Babyology Box now. In the meantime, take a look at the incredible, hand-picked products we had in the first box, valued at more than $130. 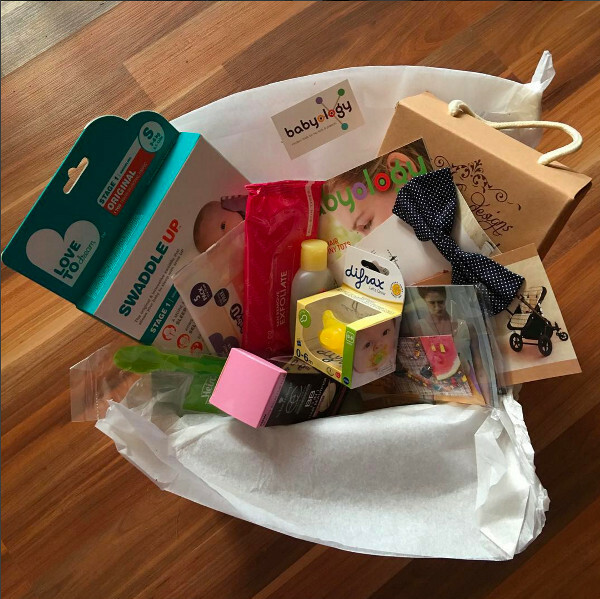 From decadent baby products, a stunning swaddle, store vouchers and a few goodies for mums, the first Babyology Box was bursting with the useful and the decadent. There were gasps of excitement across the nation as subscribers spied a stunning Love To Dream swaddle among their goodies. We adore Bambella Designs at Babyology – so we shared the love, some of our subscribers received pram covers, and others change table mat covers. And we also popped in a $25 Bambella Designs voucher – happy shopping, subscribers! A family favourite, Johnson’s Baby Top To Toe Bath made a welcome appearance in our first Babyology Box – it’s a bathroom staple in Australia, and a great inclusion into a bath time routine. We also included another brilliant nursery essential, luscious Baby U Goat’s Milk Wipes, and a Difrax soother suitable for newborns through to six months. We couldn’t leave baby food experts Heinz out of this quarter’s box – these fantastic Soft Tip First Feeding Spoons have helped so many little ones begin their solids journey. Mums, we didn’t forget about you – our Babyology Box included a pair of gorgeous Ruby Olive stud earrings, some decadent Model Co Exfoliate Double Sided Wipes and for luscious locks – Schwarzkopf BB Cream. We also snuck in a beautiful bow from Lacey Lane – how adorable! Subscribers were also gifted the launch edition of the Babyology magazine, which is packed full of useful tips and advice – and we’re giving Babyologists exclusive online access, take a browse and tell us what you think! And don’t forget, if you’d love the next Babyology Box delivered straight to your door, bursting with a whole new bunch of pampering products, you can subscribe now. Subscriptions start at just $59. And thank you to our brilliant Babyologists who’ve shared the above pictures of their Babyology Box on Instagram, we just love hearing how much you love them!